These socks were almost finished for the Equinox, they were a gift to Dan for Christmas, I had to give him one sock and finish the second on Christmas day. 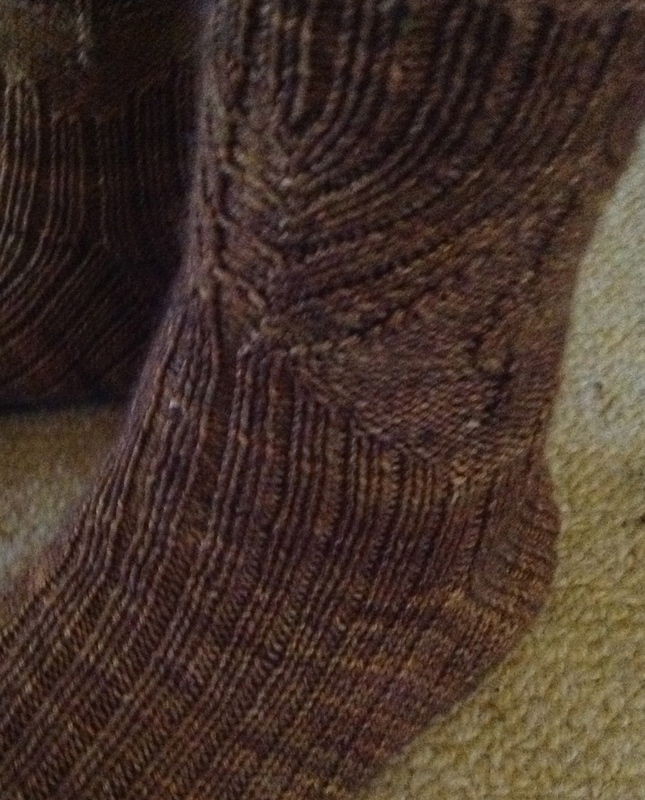 The pattern is from the Janel Laidman Knitterati 2012 sock club. The detail was moved from the front and back to the sides of the sock, I felt that it looked more manly that way. They are a bit tight to pull over the heel, and I am not sure if that is a factor of switching the cable pattern to the side. 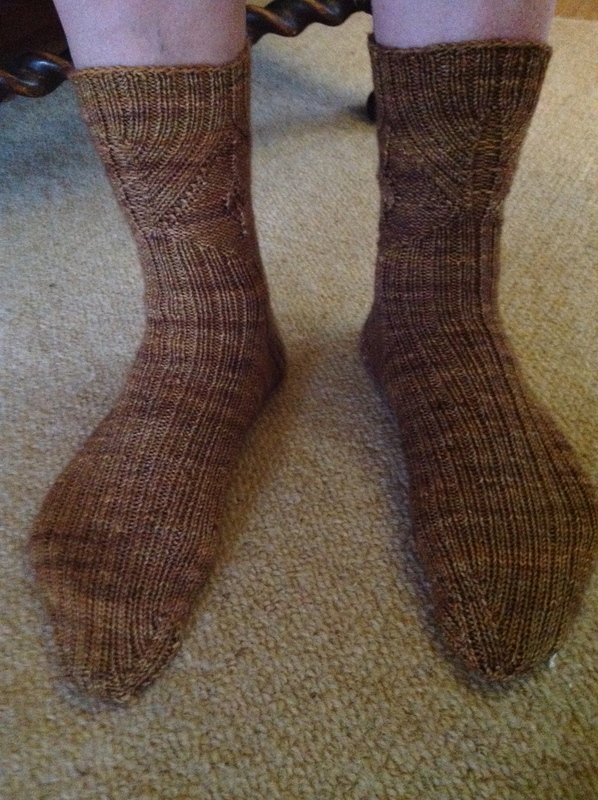 Otherwise they are a nice fit with ribbing on the top and bottom of the foot. The cashmere in the yarn doesn’t hurt either.